Homegrown tomatoes, sweet corn kernels, black beans, avocado, cilantro and lime juice is all you need to make the freshest salsa. This pico de gallo – salsa fresca – taste great with chips and on all your favorite Mexican dishes. Enjoy the sweet flavors of the tropics with this homemade delicious Pineapple Pico de Gallo. Eat it with chips, on tacos or spoon it over your favorite grilled seafood or chicken. Don’t you love it when a recipe just falls together? 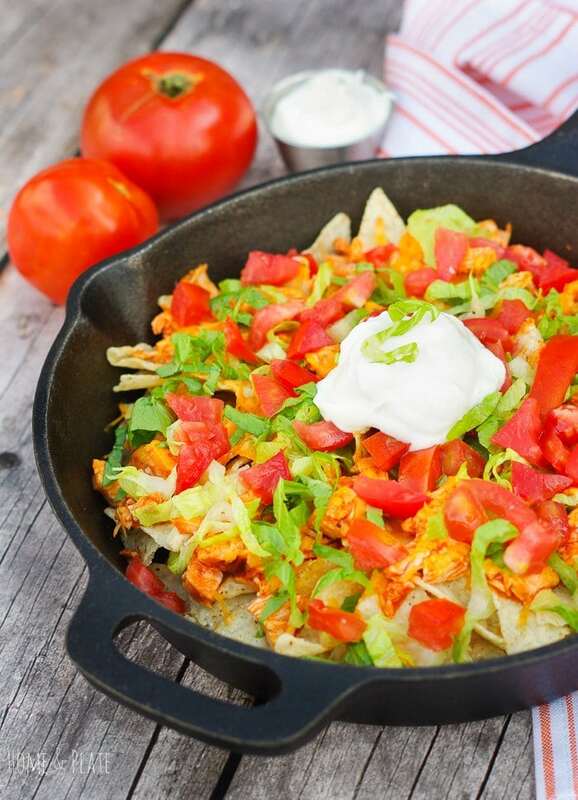 These baked buffalo chicken nachos came about accidentally. And let me tell you, these were not your ordinary nachos. Dip your crusty bakery bread loaf in true Italian flavor with this easy to make sun-dried tomato dipping oil. A copycat recipe for delicious lettuce wraps that you can whip up in under 30 minutes. Butternut Bacon Potstickers | www.homeandplate.com | Sweet butternut squash is paired with salty bacon in these easy to make party appetizer. 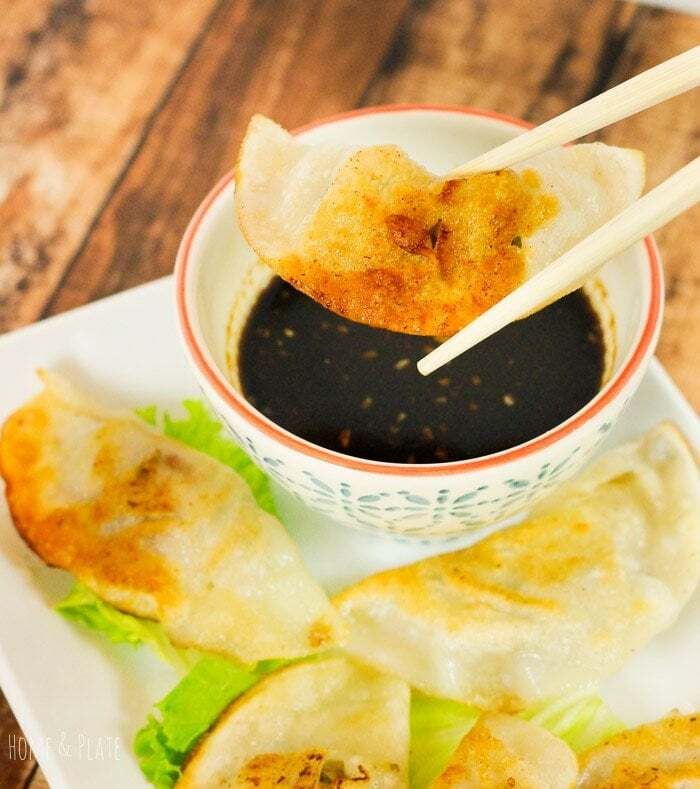 Served with a splash of brown sugar and soy infused dipping sauce, these perfectly seasoned dumplings hide a juicy pork meatball inside. It’s game time! Got wings? Skip the bottled ranch dressing and make a homemade version that’s guaranteed to be a hit at your next tailgate party. Don’t throw away those unripe green tomatoes. Turn them into fried green tomatoes topped with fresh mozzarella cheese and chopped basil and finished with a balsamic glaze. Fresh balsamic strawberries served on toasted crostini with a honeyed ricotta and fresh basil make the perfect party appetizer. Add a little Mexican zing to your next batch of stuffed mushroom with the spicy flavor of fresh chorizo sausage and nutty Manchego cheese. This melt in your mouth appetizer is perfect for your Cinco de Mayo party. 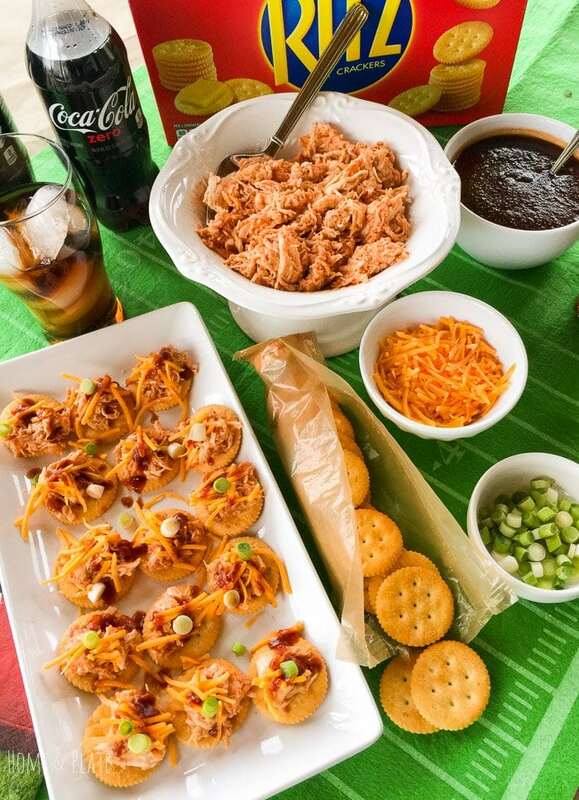 Score rave reviews with your biggest fans at your next tailgate with these Sweet & Saucy Shredded Chicken Toppers featuring buttery RITZ® Crackers and Coke Zero. Put together an easy appetizer of Triscuit crackers, creamy brie cheese, salty prosciutto and sweet fig jam. 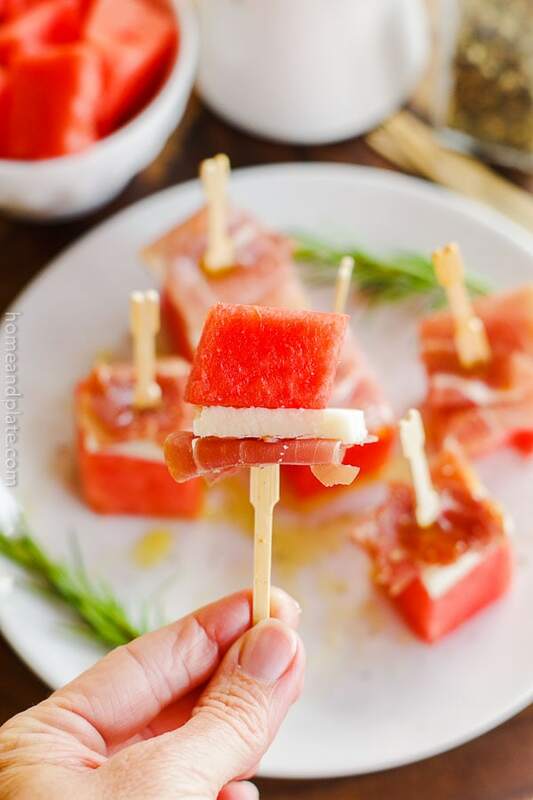 Sweet bites of watermelon paired with salty Pecorino Romano and meaty prosciutto makes for a simple yet bold appetizer.